In order to keep your cooler operating at maximum capacity, the Gasket Doctor™ also replaces and installs accessories. All parts are built rugged for high-traffic use. We can get parts for steamers, warmers, and oven doors. Are your hinges starting to show signs of wear and tear? As soon as your cooler’s hinges go, you’re door is going to hang. When the hinge is sagging or cracked, take it as a sign your hinge should be replaced immediately. A hanging door can cost you money in lost energy and potentially more in food waste. Our professional installation experts will ensure your door is reinforced with quality workmanship that will keep your door securely in place during constant use. 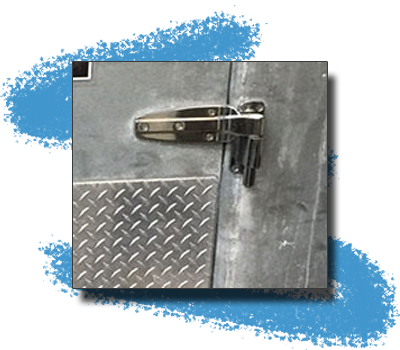 Designed for all types of commercial cooler doors, our professionally installed latches can provide reliable, self-closing action to provide an air-tight closure with little effort. For a busy environment where there is quite a lot of traffic, these latches release with minimum pressure push or pull from the outside or from inside. 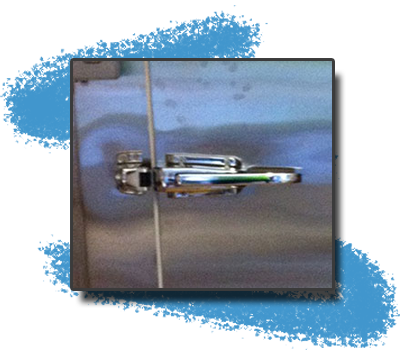 For night time security, we carry latches that have padlocking availability. We can install and replace new and broken thermometers. 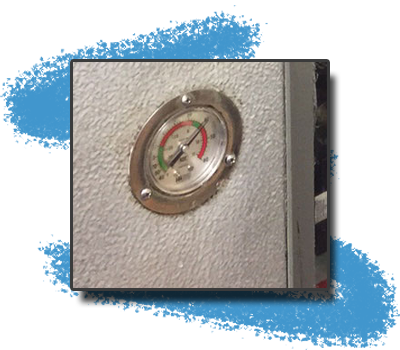 We make sure that our temperature gauges are manufactured to the highest standards for a great range of uses and may be fitted to almost any refrigeration application. No matter what type of design and functionality, our installation experts can install for any type of temperature indicating application. A door closer is a great way to make sure your door stays closed and keeps the costs down. Our door closers have been rated as having a high life-cycle often times operating reliably after a tested half-million closures. 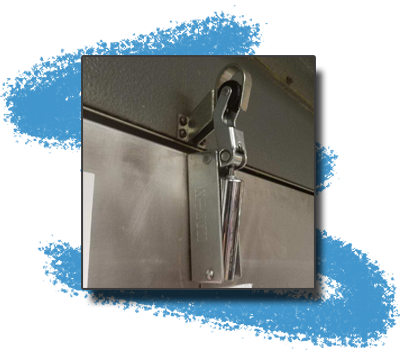 Solid steel construction and bend resistant hook will assure it will hold up in heavy use.